"You'll find that by doing the Ashby Memory Method program exercises for just two hours a week, you'll start remembering things long forgotten." "I have seen Mom celebrate and talk about things that were important in her life, aside from family. But the best gift of all is when Mom said "I don't feel lost anymore"
"My Dad laughs more often, and he really enjoys our conversations. He still has issues, but he's much less anxious... and much more my Dad." "Mrs. M's confidence has soared since starting AMM. After enjoying our session the other day, she said "I'm not as dumb as I thought I was. I love doing these exercises." The Ashby Memory Method (AMM) program is a person centered program of thinking and activity focused exercises that helps those already experiencing memory loss and early to moderate Alzheimer’s disease manage their symptoms better for longer. AMM uses multiple types of interaction and stimulation to match each person's interests and strengths while promoting personal connection and independence. Improved quality of life. According to an Alzheimer’s Association study, more than 83% of people diagnosed with Alzheimer’s live at home and are cared for by their family. AMM is a tool that often helps the participant remain living at home longer to enjoy familiar surroundings as well as very important social, community, and family resources. 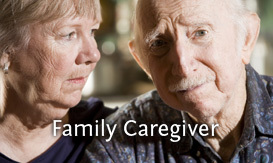 Reduced caregiver stress. 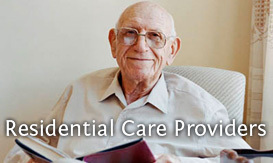 The #1 reason for initiating a move to institutional (memory) care is caregiver stress resulting from increasing Alzheimer’s symptoms such as personality and behavioural changes. AMM improves symptoms for the person receiving care. Improvements in these symptoms has been shown to decrease caregiver stress in National Institute of Health studies. 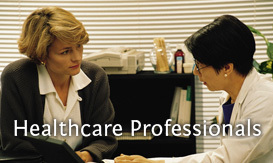 Works as a stand alone drug-free program or in combination with prescribed medications. And while you may want to do some AMM everyday, one hour, twice a week is all that is required. Care cost savings. Caring for someone with Alzheimer’s disease can be expensive. Strategies for the long term management of Alzheimer’s disease include recommendations for delaying institutional care. In an Alzheimer’s Innovation Institute sponsored trial, AMM extended the time that care could be provided at home by more than two years. Better for the person, better for the budget too. The Alzheimer’s Innovation Institute’s goal is to make the AMM Program available to those who need it. Our membership model allows us to offer a very high quality Alzheimer’s program and training package at a very reasonable cost to our members who in turn deliver AMM to their clients. We know it helps those faced with a diagnosis of Alzheimer’s and we know it will help your business or practice.